So what is the Hip Hop Indaba? Well, this is where the countries best DJs, MCs, Graffiti Artists and Hip Hop Dancers compete for the title of Champions and more importantly the chance to represent South Africa Internationally. 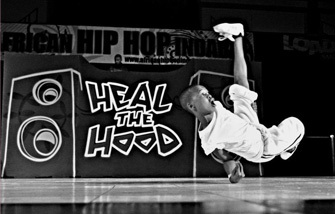 Every year for the last 11 years, The Hip Hop Indaba have held this competition in August, I have been to the last 4 . So how did I get into it? Well, before I started Salsa (yes, a long long time ago), I was actually into hip hop. So when a friend of mine who was also into Hip Hop invited me for the event, I had to go and needless to say I was BLOWN AWAY! The skill level and talent was on a level I had no idea even existed in South Africa. More importantly, these kids are choosing to do something positive with their life and take their passion and hobby to the next level rather than getting involved in drugs and crime which are prevalent in the communities most of them come from. So if you love hip hop and dance and giving back to the community, then you gotta make a plan to see the show. South Africa has some serious talent out there and I guarantee that these kids are just as good if not better than any American or European crew you will ever see. This entry was posted in Randoms and tagged Chilly, Chilly's blog, dance, dancing, Dj Chilli, hip hop, hip hop indaba, Indaba, Krumping. Bookmark the permalink.